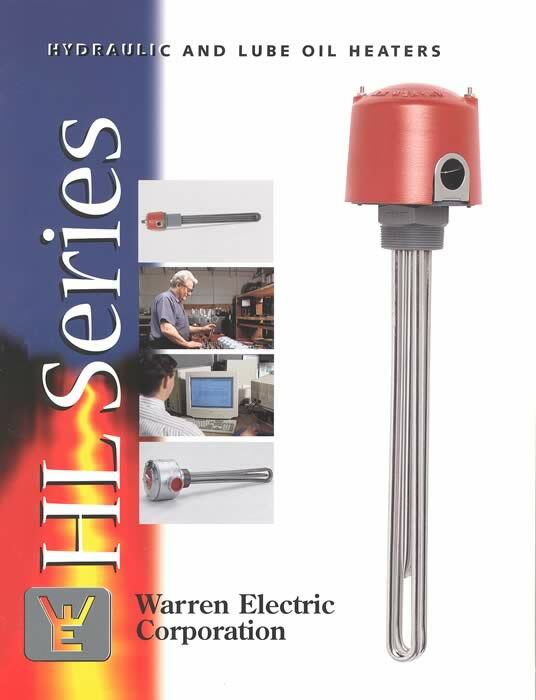 Warren Electric manufactures a wide range of standard hydraulic heaters. These hydraulic heaters are used to maintain a desired temperature within hydraulic or lube oil reservoirs. Typical Applications for hydraulic heaters include fluid power, compressors, hydraulics, turbines, and bearings. from 1" through 24" are available with power outputs up to 800 KW.